182 pages | 7 B/W Illus. 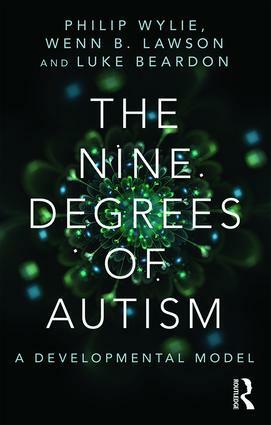 The Nine Degrees of Autism presents a much-needed positive tool for understanding the developmental process of autism, and to facilitate the improved mental health and well-being of individuals on the spectrum. The ground-breaking model charts nine distinct stages of development - from pre-identification, to learning to live with changes in self-image following a late diagnosis, through to self-acceptance and wellbeing. Using the model as a framework each chapter focuses on a particular stage of the process. Experts provide personal insights into the environmental and societal challenges faced by individuals with autism, and dispel a number of popular misconceptions. The positive developmental model described in this book will encourage people on the Spectrum to accept themselves by focusing on their gifts rather than weaknesses, and to avoid identifying with negative medical classifications. The developmental process which the authors describe is also applicable to other ‘hidden’ neurological conditions such as Dyslexia, Dyspraxia, Aphasia, and ADHD. The book should be read by anyone who wants to understand the real nature and experience of autism and will also be essential reading for a range of professionals seeking to work more effectively with individuals on the spectrum. Philip Wylie is a freelance writer, researcher, and independent management consultant who was diagnosed with Asperger's syndrome in 2013. He conceived The Nine Degrees of Autism during his identity alignment process while writing a book about very late diagnosis of Asperger's syndrome. Wenn B. Lawson is a researcher, psychologist, writer, and poet with high-functioning autism. He has operated his own private practice for more than twenty years and written several books and research articles on the topic. Luke Beardon is a Senior Lecturer at The Autism Centre at Sheffield Hallam University, UK. He has worked for several years in the fields of autism and Asperger's syndrome, in capacities ranging from practitioner to researcher to trainer.